Pretty soon Black Friday will make its annual post-Thanksgiving hash of Christmas tradition as the buying frenzy turns picking up a gift into the equivalent of trying to dig the puck out from behind the net against the Philadelphia Flyers. So if your idea of Christmas doesn’t correspond to throwing forearms and body checks at Walmart, you might consider these European holiday suggestions from tour operators and river cruisers. In Europe Advent runs approximately, depending where you are, four weeks from the end of November through Christmas. 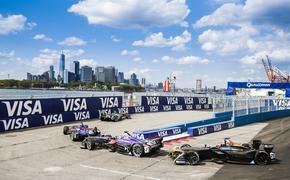 Forget the crowded parking lots and clotted highways. The Christmas markets in Europe come with a scent of pine, cinnamon and all spice as the Glühwein wafts out of the hot vats and the roasting nuts are purchased in small bags as you look through stalls at hand crafted nutcrackers and toys. 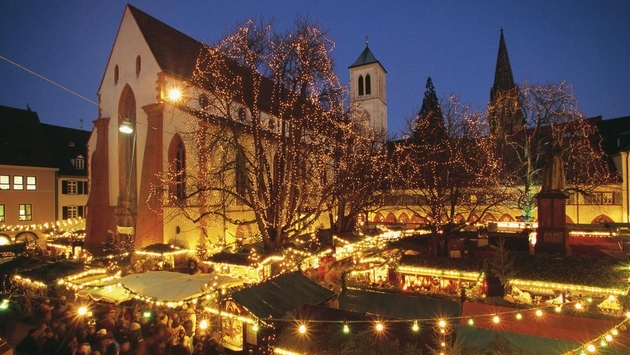 Avanti specializes in tailored land-only itineraries and is offering several Christmas market options. They suggest a four-day/three-night Munich vacation, priced from $495 per person double, with a Christmas market pass, sightseeing tour, daily breakfast and roundtrip transfers to the train station. “The train system in Europe makes it possible to use cities like Munich and Nuremberg as hubs for quick daytrips - or evening trips - to see the Christmas markets in other towns,” said Dalgaard. “From Munich you can easily visit Garmisch-Partenkirchen, Augsburg, Ulm. Avanti’s Nuremberg Christmas market vacation is priced from $559. CroisiEurope's Holiday Cruises, priced from $495 per person, feature both Christmas markets and New Year’s cruises. These short cruises can be added onto other European journeys offering not only markets, but local Christmas Eve masses, New Year's Eve dinners and city tours. For instance, the Venice and the Venetian Lagoon at Christmas: Journey along the Po, from $971 per person double, adds a private boat excursion to the islands in the lagoon before heading to Venice for a tour of St. Mark’s Square and midnight mass at St. Mark's Basilica. The four-day Christmas in Alsace: Potter Villages and Revue at the Royal Palace, from $533, explores the Rhine while visiting the Potter Village and the Christmas market in Strasbourg. The five-day New Year in the Bordeaux Region on the Gironde and Dordogne River, from $1,278, explores Bordeaux with Chateaux tours and a New Year’s dinner. Emerald Waterways’ 15-day Christmas Markets, from $3,960 to $7,705 per person double, visits more than 25 markets, departs from Amsterdam on Nov. 29 and concludes on Dec. 13 in Budapest. Emerald Waterways also offers travelers a chance to experience the Christmas Markets on shorter sailings with two, eight-day itineraries: Amsterdam to Nuremberg, departing Nov. 29, and Nuremberg to Budapest, departing Dec. 6. Prices for the eight-day sailings range from $2,080 to $3,955. Scenic Cruises’ Christmas Market Cruises include the 15-day Christmas Markets River Cruise departs Nov. 24 from Budapest to Amsterdam with fares of $6,555 to $10,045 per person double, while the16-day Christmas River Cruise sails the reverse route on Dec. 15 and is priced from $7,235 to $10,760. Shorter sailings are also offered: the eight-day Christmas Market Danube Discovery Cruise on Nov. 24 travels from Budapest to Nuremburg at $3,530 to $5,350; and the eight-day Treasures of the Rhine Christmas Markets Cruise on Dec. 1 sails from Nuremburg to Amsterdam at fares of $2,975 to $4,440. Land cruising by rail is another way to visit the markets. 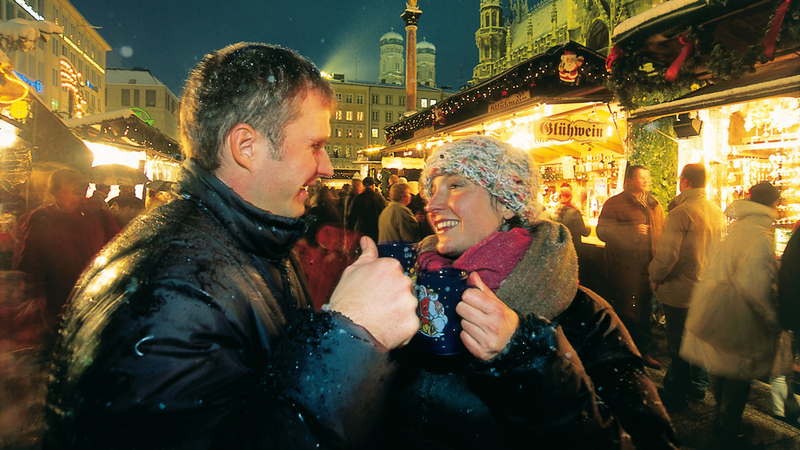 Vacations By Rail New 2015 brochure includes nine-day tour that visits to four of Europe’s best Christmas markets Munich, Nuremberg, Salzburg and Vienna. Prices start at $2,195 per person double. If you’re headed through France you might treat yourself to business class on La Compagnie, a new boutique, all business-class airline, which is offering a pre-holiday special for two people traveling together between New York and Paris Priced from $2,599. It’s valid until Dec. 12 for travel completed by Dec. 15. The airline features business class lie-flat seats, inflight entertainment provided on Samsung Galaxy Tablets, an amenity kit, and dining service created by Michelin-starred Chef Christophe Langrée.